Life Fitness Club Series Plus Recumbent Review - How is the New Model? The Life Fitness Club Series + Recumbent is a brand new model from the well-regarded company, with serious upgrades including Bluetooth capability, touch screen technology and plenty of extra features and capabilities. It has a much more modern and sleek look than the other exercise bikes in the lineup, a welcome change that is long overdue. 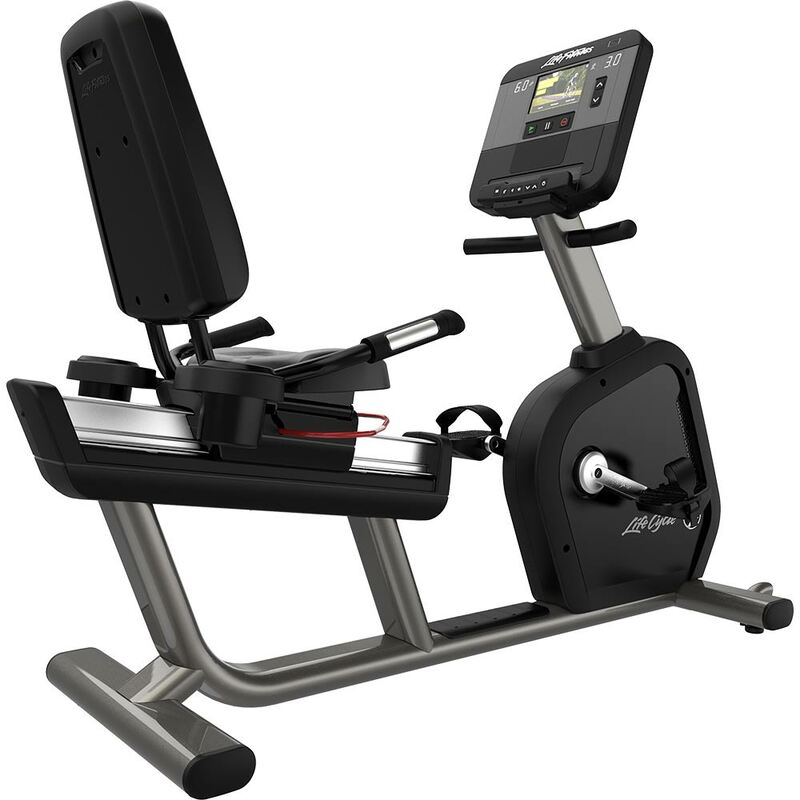 The Life Fitness Club Series Plus Recumbent features a step thru design for easy access, a rounded off console with built in touch screen and a more comfortable ergonomically designed seat. Check it out on sale now at the Life Fitness company site! The Life Fitness Club + Recumbent is part of the company's brand new lineup up of cardio machines, which includes treadmills, ellipticals and exercise bikes, as well as an upright version, with a whole new look and feel. It's the first time in quite a while that they have changed things up, and most industry insiders feel that it is long overdue as other companies were passing them by in the mean time. But it is definitely a step in the right direction for Life Fitness, as it puts them back in the game with an impressive group of machines that bridge the gap between residential and commercial, giving you the best of both worlds. The Club + retains all of the durability of the base Club recumbent model, but is redesigned to look more sleek and modern. One of the most striking differences is the step through design, which allows you to get on and off the bike much more easily. The open feel is much more inviting. The Comfort Curve Plus seat on the Club Series + is even more comfortable with more lumbar support and a wrap around lever that allows you to adjust the seat in an impressive 41 different positions. You get 5 more resistance levels to choose from for a total of 25 that can be easily adjusted from the controls on the side handles. 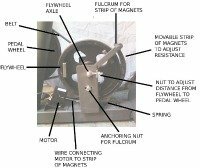 The Wide Ride pedals are self-leveling and can be adjusted as well. The ride on the Life Fitness Club Series Plus recumbent is as expected, smooth, quite and natural. It has the same feel as the ones in the health club, which is great for a residential model. The other big upgrade from the base model is the 7" touch screen console with Bluetooth capability. You can redo a previous workout to try to beat your time. You can also choose from various specially designed workouts, track and share all of your results and sync your workouts with your favorite fitness apps. Speaking of workouts, you get a total of 11, including hills, random, time, distance, intervals and heart rate in addition to manual and quick start. So there's a lot of variety there, keeping workouts interesting and motivating. Other nice features include 2 cup holders, grip and wireless heart rate monitoring, a 400 lb. max weight limit and an accessory tray. Is the New Life Fitness Club Series Plus Recumbent Worth Buying? If you're considering the higher level recumbent exercise bikes from Life Fitness, then the new Club Series + recumbent is your best option in our opinion. We're still waiting on user feedback and reviews to possibly add it to our All Exercise Bikes Best Buy list, but in the mean time we are quite impressed with this new offering. 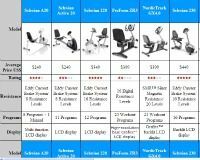 The company added a new Club Series + model to their treadmill and elliptical lineup as well, and all of the cardio machines are getting a lot of attention, especially with their advanced touch screen consoles not found on any of the other models. So the Plus is definitely a big step up from the base model. Now what about the Platinum Club Series? The top of the line Life Fitness elliptical gives you four different frame colors and three different console options. But it's also very pricey and not really necessary for home use. We would opt for the Club Series + out of the three models, as it is the newest one with the latest technology, incorporating the best features of all of the other recumbent exercise bikes in the lineup. We are definitely impressed by the new Life Fitness Club Series Plus recumbent bike, as it has a number of great upgrades that show that the company is trying to give customers what they want and need. They did a good job at retaining the durability and strong construction while improving the overall design of the bike. You have plenty of workout options, heart rate monitoring, touch screen console, workout tracking and sharing, plenty of adjustability and a heavy max weight capacity. It's about $1000 more than the base Club model, but worth the additional expense with all it has to offer. The new console itself is worth the price in our opinion. Also take a look at the Platinum Club Series model, which is a bit more expensive than the Club + but has three console choices for you. Of the three Life Fitness Club models, we think the new Plus is your best bet, as it gives you the best features of both of the other models, and is one of the best recumbent exercise bikes you will come across.